Light : The original pack, rich in colour and detail. Dark : Gloomy and desaturated with demonic decoration. High : High elven theme, ornate decoration with gold plating and blue gemstones. Notice: This HD texture pack requires the HD texture pack fix before you can use it. Click here for help. ———–Open DokuCraft.zip and drag the DokuCraft_xx_Light.zip in your texturepacks folder. 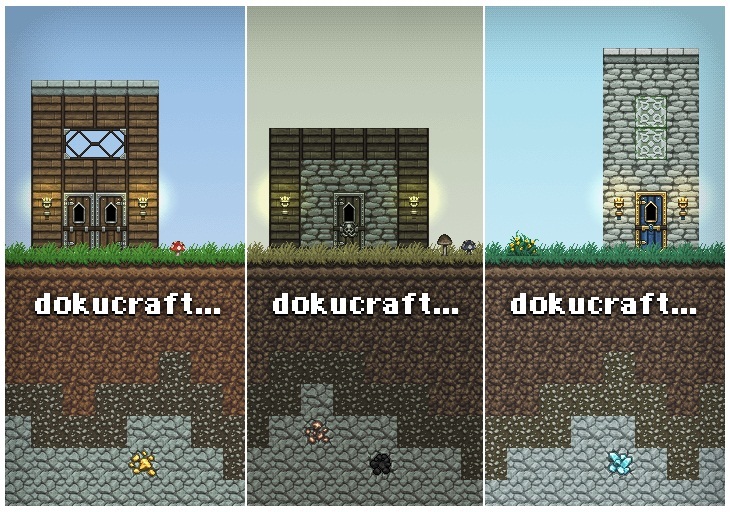 ———–Open DokuCraft.zip and drag the DokuCraft_xx_Dark.zip in your texturepacks folder. ———–Open DokuCraft.zip and drag the DokuCraft_xx_High.zip in your texturepacks folder. 6. Select the texture pack in game and play!